For those who demand extreme single GPU CAD performance paired with one of the best CPUs that Haswell has to offer in a mobile and highly configurable system, the 15.6-inch Eurocom Racer 3W should fit the bill nicely. There is no doubt that Eurocom offers beastly laptops with huge customization options that surpass most if not all other workstations currently in the market. Our configuration with the i7-4930MX and Quadro K5100M cannot be found in many other workstations this size, thus allowing the Racer 3W to easily outperform more popular models in CAD tests and multi-thread CPU loads. Its expansive drive bays and accessibility give the notebook long legs for a potentially better investment than the competition. Only Nvidia Quadro options are available directly from Eurocom spanning the range of Kxx00M discrete cards. This includes the low-end K1000M, high-end K5100M and almost everything in between. Cards can be easily swapped and installed on the MXM 3.0b slot. The wide configurable options of the Racer 3W allow for up to 4 storage drives: 2x mSATA SATA 6G and 2x 2.5-inch SATA III. Our notebook only comes with the two drives mentioned above, but users can install in pairs for dual RAID 0/1/5/10 setups. Installing these additional drives will require additional disassembly. A fifth drive can be added via an optical drive bay bracket at the cost of an optical drive. Other physical aspects including hinge stiffness and base rigidity feel just right for a notebook this class… we're generally pleased with the quality of the conservatively designed case. Aiming for ultimate performance, Eurocom's Racer 3W spares no expense, leading to a mobile workstation that can plow through the most complex graphic tasks. it's very simple to swap batteries if you need to. If you want to change the processor or graphics chips, the Racer has a pair of hatches that provide good access to its components; you just need to loosen six screws to get inside. Happily, the new Eurocom Racer 3W mobile workstation that recently arrived at our test lab overcomes all of those issues. It was half of the Panther 4.0’s weight, had three times the battery life, and had a price tag one-third of the Panther -- yet delivered excellent performance. Unlike previous Eurocom mobile workstations, which were built using some decidedly non-mobile components (such as server-class Intel processors), the Racer 3W is a pure mobile system. The base configuration includes an Intel Core i7 mobile CPU and an NVIDIA mobile GPU, and its base price of $1,559 (without an operating system) reflects that. While its use of mobile rather than desktop components enabled the Racer 3W to trim weight and extend its battery life, we wondered what impact this would have on performance. We’re pleased to report that the tradeoffs appear to be justified. On the SPECviewperf test, which focuses graphics performance, the Racer 3W lagged behind other systems we have tested recently. But that’s to be expected, considering its GPU was just one cut above entry-level while every other mobile system we’ve tested in the past two years came with at least a mid-range card. 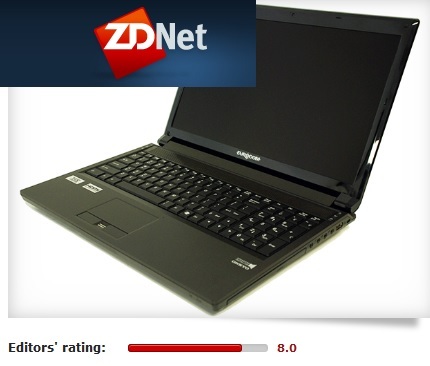 On the SPECapc SolidWorks benchmark, which is more of a real-world test, the Eurocom Racer 3W was quite impressive, beating every other mobile system we have tested to date. And on the AutoCAD rendering test, in which the competitive edge clearly belongs to systems equipped with fast CPUs with multiple cores, the Racer 3W outperformed systems with faster CPUs. This is even more impressive when you consider that the system we tested was equipped with the base-level CPU. Eurocom says that the Racer 3W is designed for professionals who frequently travel and require capable hardware to fulfill their professional commitments. We think this is right on target, making the Racer 3W an excellent alternative to similar mobile workstations from more mainstream companies. 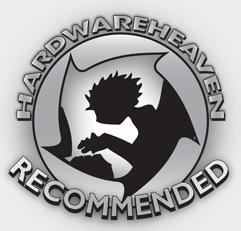 Today DaveChaos takes a look at the latest laptop from Eurocom the Racer 3.0 featuring Intel Haswell chip and a NVIDIA 780M graphics chip and gives its the Hardware Heaven Recommended Award! After an impressive all-in-one, the Uno 3, we were sent the Race 3.0 by Canadian mobile high-end specialist, Eurocom. The Racer 3.0 is a minor update on the Racer 2.0, adding the Nvidia Geforce GTX 780M and Intel’s Haswell processor, both of which were unveiled over the May/June period. A 15.6in full HD matte display with a 1,920 x 1,080 pixel resolution, an Intel Core i7-4800MQ processor with four cores clocked at 2.7GHz (overclocking to 3.7GHz), a TDP of 47W and 6MB L3 cache, 16GB of RAM (arranged in four slots), an Nvidia Geforce GTX780M with 4GB GDDR5 memory, a 120GB mSATA SSD (Crucial’s M500) backed by a 1TB HGST hard disk drive clocked at 7,200RPM, a 2-megapixel webcam, a DVD writer, Bluetooth 4.0, Bigfoot Killer Wireless-N 1202, a card reader, an integrate fingerprint device, a subwoofer (and a pair of speakers powered by Onkyo technology and Creative Labs’ Sound Blaster X-Fi MB3), an 8-cell 80Whr battery and a 180W power supply unit. We didn’t run any benchmarks per se but this is a powerful gaming laptop that can double as a capable workstation (and vice versa). 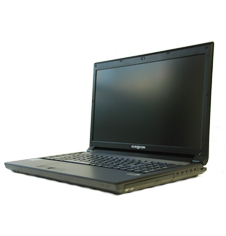 Eurocom's 15.6in. high-performance notebook gets the 4th-Generation Intel Core (Haswell) upgrade, and delivers the goods in terms of specification and speed. Power users who need exemplary CPU, graphics and disk performance should certainly give it consideration. The headline component in the Racer 3.0 is its quad-core 4th-Generation Intel Core i7-4800MQ processor, which runs at 2.7GHz, or up to 3.7GHz in Turbo Boost mode. This is supported in our review unit by 16GB of 1,600MHz DDR3 RAM, expandable to a maximum of 32GB.